Namco Bandai have today confirmed that Tales of the Abyss 3D, a remake of the PlayStation 2 original previously released in 2005, is due to release in Europe during 2011. The Tales series has become a cult-classic amongst JRPG aficionados, although only a handful of the series has ever been localised for a western audience. Tales of the Abyss delivers full 3D support and use of the dual screens to bring players closer to the action. Players will follow the story of Luke fon Fabre, sole heir to a family of aristocrats, as he is suddenly thrust into the outside world on an epic adventure. Naïve and spoiled by years of isolation, Luke struggles to learn of friendship, sacrifice, duty and of choice. With the fates of many in his hands, Luke’s actions could ultimately save the world or bring about its very destruction. 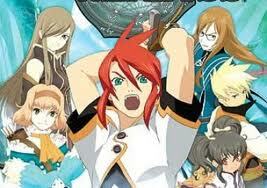 Tales of the Abyss 3D is due to release for the Nintendo 3DS across Europe in 2011.